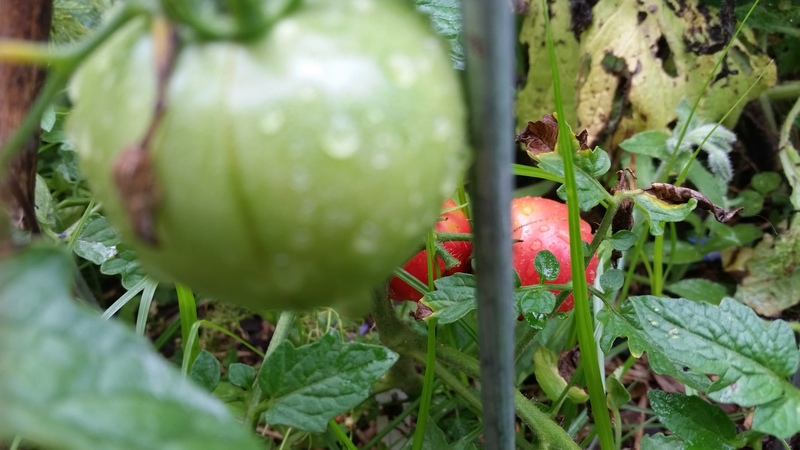 We came back after a weekend away to find a few red tomatoes peeping from under the green vines. 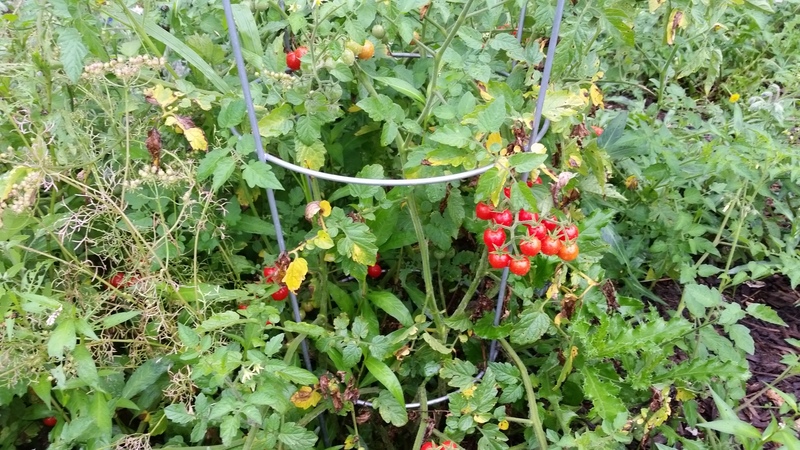 The cherry tomatoes are sweet and delicious and so fun for the kiddos to pick. 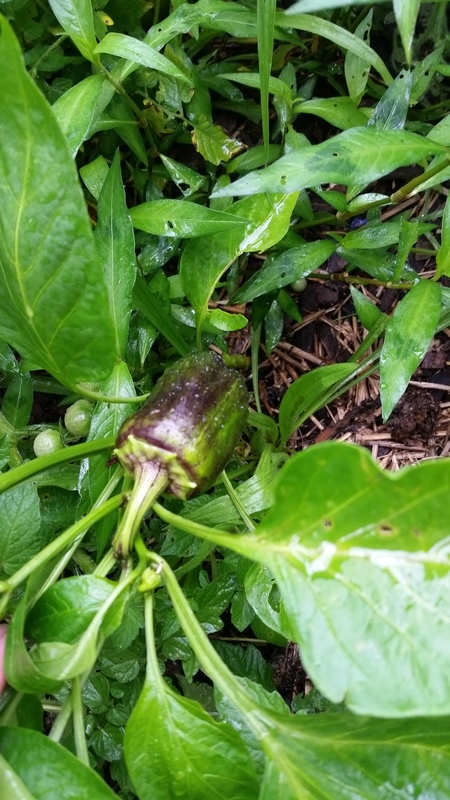 My pepper plants, though still small for their age, are starting to show some buds and a few peppers are even growing. 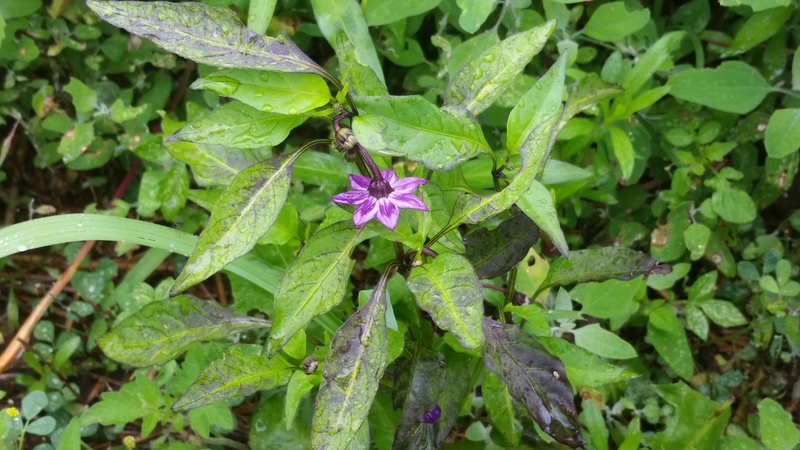 This purple pepper flower is gorgeous. There is one black Hungarian ripening too. 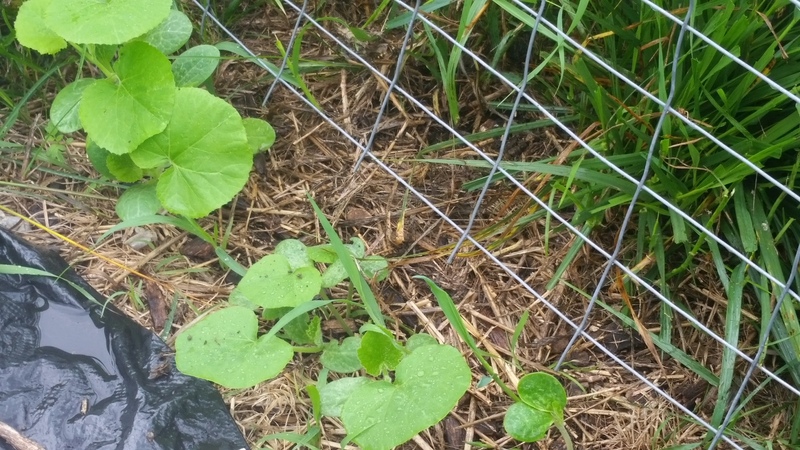 Another nice surprise was finding the winter squash growing. 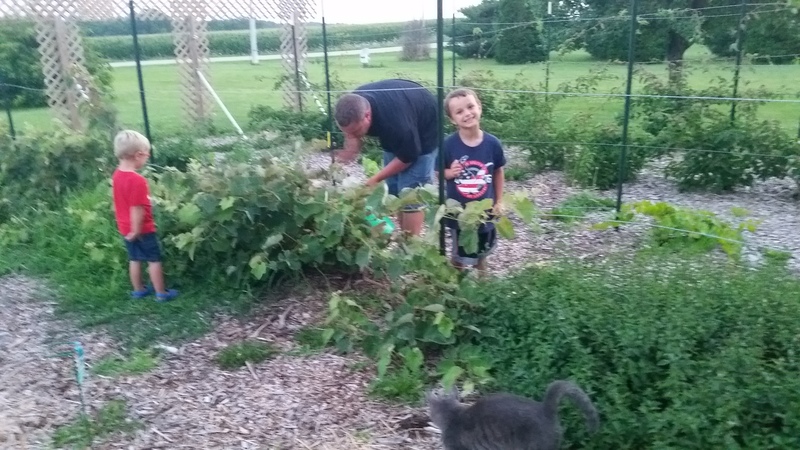 I’ve pulled a few of the plants to give some growing room to the healthier vines. I hope to see the vines growing over the arch soon. Maybe I wasn’t too late after all. The Japanese beetles were not too destructive while we were gone this weekend. The vines looked a bit worse for wear, but many leaves remain. The boys helped Ray pick off the few that were still hanging around. The new young ladies were busy while we were away. There are at least 7 that are laying now and the eggs are starting to get bigger. 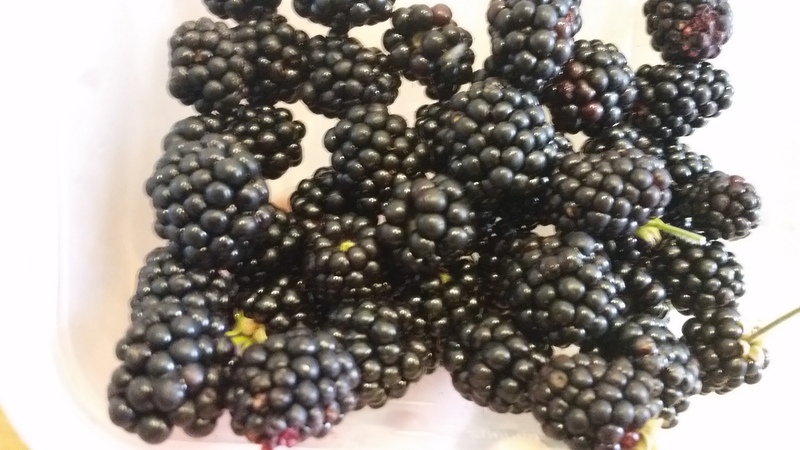 The blackberries, all pink and bitter before we left, have ripened. Joe and I just picked and picked and picked. They are juicy and oh-so-sweet…a great treat after a long drive. 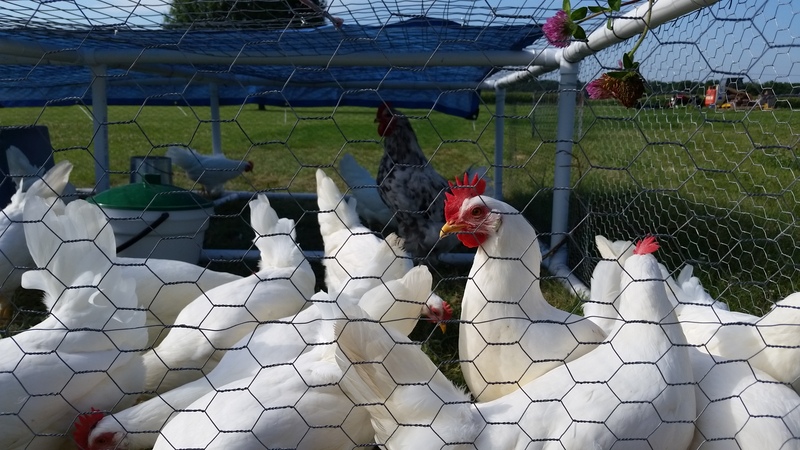 This entry was posted in Chickens!, For the Kids, Garden Stories, Life, Poetry, Writing. Bookmark the permalink. Your garden looks great and there is nothing better than fresh tomatoes you grew yourself!